I’ve been thinking about adventure a lot lately. I’ve got some friends who live a wild life, they’re on the move all the time, continent jumping like mad. And then there are nieces and nephews who are embarking on adulthood, and OMG they’re doing some adventurous things! Moving clear across the country, alone and unemployed. Traveling to far flung places I’ve never even heard of. It’s big stuff and the outcomes are unknown. They’re all pretty brave in my opinion. One this is certain though, they’ll all grow as people. The experiences will make their lives richer and more rewarding. Here’s the thing about adventure, we usually think it has to be some grand exploit, but it doesn’t. We can have adventures every day. It all starts with our attitude. If you’re willing to step outside your comfort zone, even just a bit, you’ve got the makings for a adventure. Which means anything can be turned into an adventure, even decluttering and organizing. What if instead of thinking things had to be done in a certain way, you went into it with a sense of curiosity and tried doing things without worrying about a perfect outcome? What if you took a leap of faith, like letting go of some of the things you’re keeping ‘just in case’? What about setting boundaries surrounding what you’re willing to say yes to? What about trying out a new routine to see if it will help you streamline your morning? All of these actions have an element of risk. But they also have the potential for huge rewards. 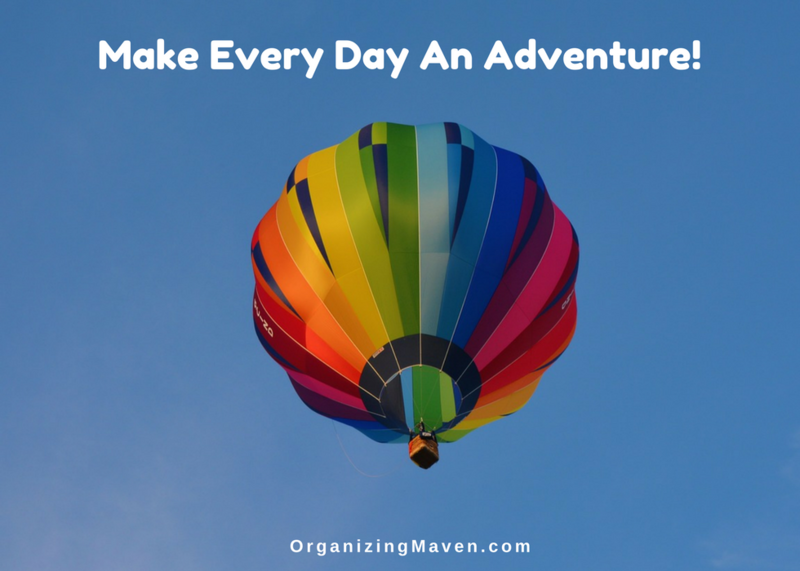 So what do you think, can you look at creating a more organized, less cluttered life as an adventure? Or does it feel like something that has to have a clear, well defined path? There is no right or wrong answer here. And that’s actually the whole point. 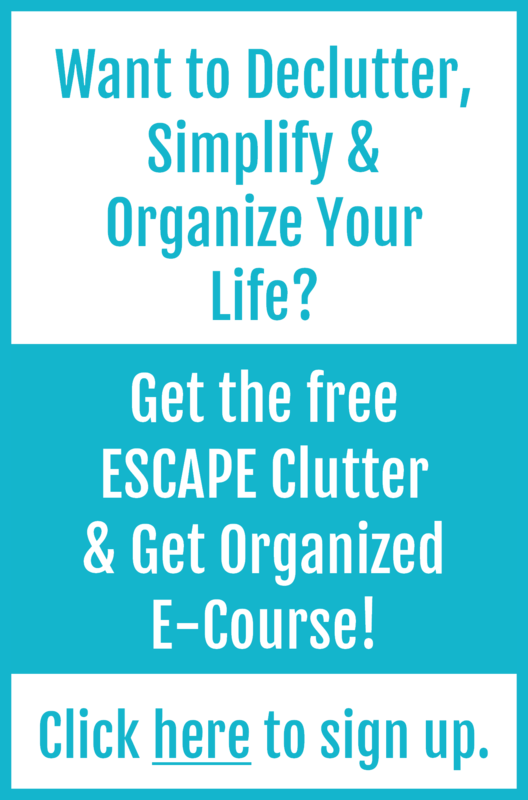 There is no one correct way to declutter and get organized. It’s about finding what works for you! Want more tips like this? Or maybe a little accountability? Join the Clear Your Clutter, Find Your Happy community. We’re a supportive group of like-minded souls. We focus on clearing the clutter from our lives, getting real things done, working toward our goals and creating happy, fulfilling lives – you can find us here. We’d love to welcome you! Baby Step Your Way To Success! Simplify The Holidays and Enjoy Them More! please consider sharing with friends! Your support means a lot to me. Thanks!